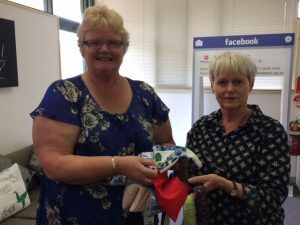 Bette Hawkins has kindly volunteered her home again for 2019 from 10am-2.30pm at 59 Foliingsby St. Weston. Overlocker Techniques with Lynne Johnson. Details: Get your overlocker out and learn to use which stitch when. Halve your sewing time using your overlocker and / or cover stitch. Do not have an overlocker? Use one of mine. Cost: $30, which includes a donation to Araluen for the use of their premises. 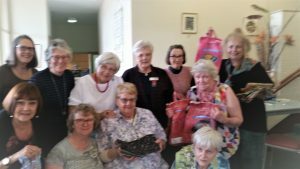 What to bring: Your overlocker and the usual sewing supplies and fabric/garment to practice on, morning tea to share and your own lunch. If Lynne has specific requirements, we will send these closer to the time. Please use the form here to register https://acttextiles.org.au/wp-content/uploads/2018/04/workshop_form_2018.pdf. You can email it to Sue Chapman susan.chapman.cc@gmail.com or hand in at our first meeting on 13 February with payment.